Mrs. Inez Louise Torricelli, 90, of Tovey, Illinois passed away at 9:19 P.M. on Friday, January 18, 2019 at Taylorville Memorial Hospital, but continues to live on in all our hearts. She was born in Aurora, Illinois on Thursday, May 24, 1928, the only child, of Alvie and Jane (Davis) Smith. Inez, married Mr. Robert Torricelli on June 7, 1950 in Taylorville, IL and they enjoyed 62 wonderful years together. Mr. Torricelli preceded Inez in death on June 6, 2012, on the same day his mother let go of this mortal coil in 1959. Inez is a loving mother and wife who devoted much of her life to caring for her husband and three sons. Inez and her husband, Robert, were known and respected for their dancing ability that Inez downplayed because of her humble nature. Inez and Robert attended dances regularly for nearly 30 years at various locations throughout Central, Illinois. Inez was an only child and she fulfilled her life’s dream, which was to have children and be the ultimate mother. As a young woman, she would often conduct class, in her imagination as a primary school teacher. She was well liked by everyone she encountered because of her unassuming qualities and her loving nature. Many of the kids in her neighborhood would comment on how nice of a lady Inez was. Inez mastered the art of cooking Italian food from her mother-in-law, Virginia Torricelli whom she dearly adored. Virginia brought those recipes from Northern Italy, when she came to America in the early 1900's. Inez became very close to Virginia as they lived together for seven years spending countless hours together where Inez bonded with and learned how to prepare all of Virginia’s recipes to perfection. Inez prepared countless holiday feasts and other meals for her family for over 50 years, that very much resembled those that Virginia prepared for her family when they first arrived in the United States from Northern Italy several decades before. Inez also had a close relationship with her brother-in-law Mario Torricelli. Mario also lived in Tovey, Illinois and was a second father to Inez's children and as a result had the pleasure to enjoy numerous holiday and family meals, most frequently commenting on how Inez’s cooking reminded him so much of his mother Virginia’s cooking. Inez enjoyed canning and baking pies for various neighborhood organizations. She was active in the school PTA where she worked supporting her children’s school activities such as with Football, Basketball, Track and Baseball. Inez is also a very loving and proud grandmother who always will be supportive of her grandchildren who are exceptionally smart and excellent students and passionate individuals. She is so happy that they are all on course in achieving their individual career paths, goals and dreams. One of Inez’s most cherished possessions is a large photo of her three grandchildren when they were young. Surviving, are her three sons, Thomas Mario Torricelli of North Fort Myers, Florida, Michael Reno Torricelli M.D. and his wife Glenda Reed Torricelli M.D of San Diego, California, and John Robert Torricelli and his wife Karen Torricelli of Springfield, Illinois. She is also survived by three grandchildren, Andrew Mario Torricelli of San Francisco, California, Audrey Virginia Torricelli of Philadelphia, Pennsylvania, and Emily Jane Torricelli, Undergraduate Student at Clemson University along with several nieces, nephews and a great many friends. She was preceded in death by her parents and her beloved husband Robert in 2012. The Family of Mrs. Inez Louise Torricelli would like to acknowledge with great appreciation, Mrs. Mary Beth (Roggero) Busby for the exceptional, heartfelt care and especially the personal and spiritual care that she gave Inez for over five and half years without hesitation. Inez took great pride in her appearance and was always well dressed and got her hair done regularly and she enjoyed the trips to her local beauticians: Mrs. Armella Rossi, Mrs. Gloria Foster and Mrs. Kim Metzger. In addition, we would like to express a very special thank you to our family, friends and the entire Midland Community for everything you have done for Inez and for us throughout our entire life. Funeral services will be held 11:00 A.M. Saturday, January 26, 2019 at Masterson Funeral Home in Kincaid, IL. She will be buried following services next to her husband Robert, in Oak Hill Cemetery, Taylorville, IL. Visitation for Mrs. Inez Torricelli will be held from 10 to 11 A.M. at Masterson’s in Kincaid. 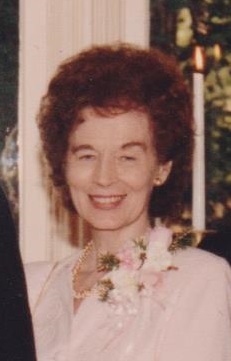 Memorials in her loving memory of Mrs. Inez Louise Torricelli are suggested to Taylorville Memorial Hospital – 201 E. Pleasant – Taylorville, IL. 62568.